Most occupations require a ton of work behind the scenes that many people don’t see, but for Jackie Morris, her job is pretty much a dream come true. 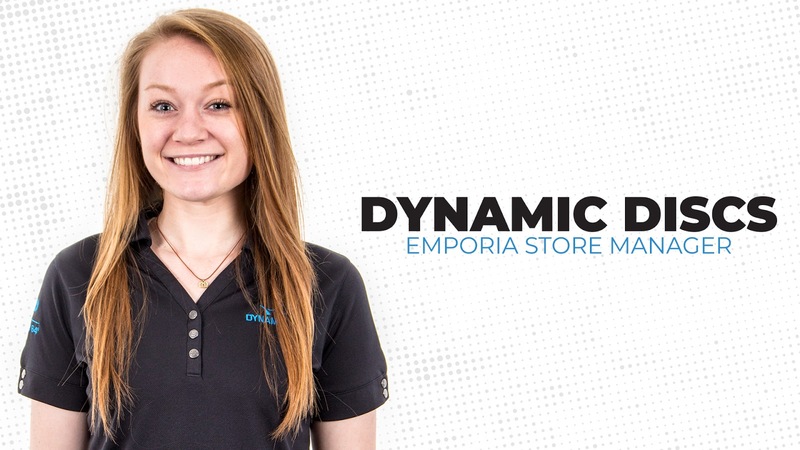 One of the Customer Service Specialists (UPDATE: Jackie is now the Emporia store Manager) at Dynamic Discs, Jackie’s been a staple in Emporia for nearly four years. Without her dedication, willingness to help out, and her awesome personality, we don’t know what we’d do! In this second installment of our DD employee series, we’re going to take a closer look at how Jackie ended up working in disc golf, what she does on a daily basis, and learn about what some might call a secret disc golf weapon that she relies on. As is common with most new players, Jackie quickly fell in love with disc golf and now plays casually and competitively in Emporia. She’s an active member of the Emporia Ladies League and often gets to exercise her incredible skill set. Remember the secret weapon we mentioned earlier? Morris is ambidextrous and can often be seen switching up her throwing arm throughout the course of a round. If you’ve ordered items from us in the past, there’s a good chance that you’ve communicated with Jackie before. She makes it her goal to answer any customer question, no matter how big or small, because she knows that she’s truly making a difference. “I get to be a customer service rep for a disc golf company and, because I have this position, I'd like to think I make a positive impact in the lives of disc golf players around the world,” she said. Jackie is a true team player and does so much more at DD than you’d imagine: “Every day is filled with emails, phone calls, and live chats from our customers and I have the opportunity to help them find solutions. On top of customer service, I handle our warranty claims and coordinate volunteers for events such as the GBO.” Noting that working at Dynamic Discs is just like being a part of a family, she loves that she has the opportunity to make a true impact in the sport. Thank you for being a part of the DD team Jackie!